This is an iOS app that I recently created. 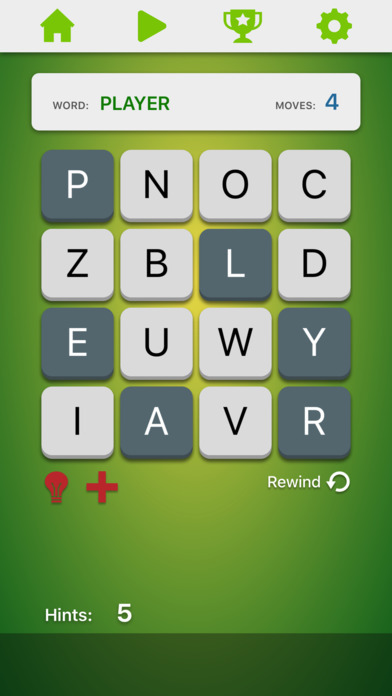 This idea is to rearrange tiles to de-scramble a word to connect it on the board in a limited number of moves. It starts simple, but can get very challenging as the words get longer. I'm looking for groups that might be interested in this type of game as well as any feedback that anyone has.